For weeks, the immortal warrior Aeron has sensed an invisible female presence. An angel–demon-assassin–has been sent to kill him. Or has she? Olivia claims she fell from the heavens, giving up immortality because she couldn’t bear to harm him. But trusting–and falling for–Olivia will endanger them all. 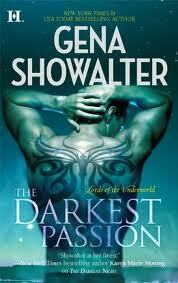 So how has this mortal with the huge blue eyes already unleashed Aeron’s darkest passion? Olivia was sent as a angel, to keep tabs on Aeron, who holds the demon of Wrath. Then she is sent to kill Aeron, because he keeps a demon from Hell with him, so the council has decided that he must die. But Olivia wants Aeron for her own, so she falls from being a angel, so that she doesn’t have to do the deed. So at first when she seeks his help, he resists, even though she is the one tempting thing that has come into his life. However his demond, Wrath, is calmed by Olivia, and only wants her more and more. But things are about to get a bit more dicey with a new executioner on the hunt for Aeron’s head, and Olivia is the only one that can protect him from death, but Aeron and Olivia will learn the true power and strength that comes from loving and sacrificing for that one person whom means more than anything to you. Olivia, is a angel and loves that part of herself, however as she studies Aeron, she starts to want him, but when she is commanded to slay him, she decides to be fall from being an angel, and seek him out, because she cares for him deeply, and only wants to be love and desired. What she doesn’t expect is for their connection to rise above all the dangers that surround them and a future that seems without hope, but desires to treasure the precious time she will have with him. 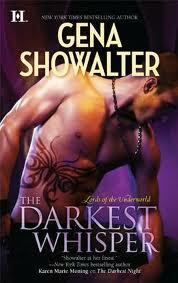 The Darkest Passion is the seventh in the Lords of the Underworld series. I found The Darkest Passion to be a emotionally riveting story, that struck deep. Its about Aeron(whom we all love) and I was so thrilled to get a chance to read The Darkest Passion, it definitely didn’t disappoint. 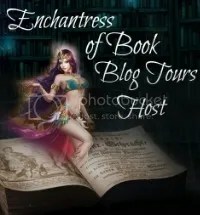 It was filled with everything that I would expect in a novel such as this from Gena Showalter, full of a magical world, with passion, romance and a spice of danger that will make your heart beat just a bit faster than normal. This author has such great passion and imagination that she portrays her in wonderfully written stories, which travels through the reader, and creates such a compelling world, that only draws you in even more, the more that you read from Showalter. Gwen, an immortal herself, always thought she’d fall for a kind human who wouldn’t rouse her darker side. 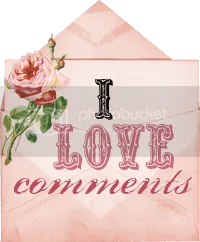 But when Sabin frees her from prison, battling their enemies for the claim to Pandora’s box turns out to be nothing compared to the battle Sabin and Gwen will wage against love…. Sabin, is bound by the Demon of Doubt, who is always there whispering to him and everyone else around him doubts about themselves, so Sabin, refuses to let anyone get real close to him especially any women, then he ends up rescuing Gwendolyn, the Timid, a Harpy, although very different from her kind. Gwen, also a immortal, and a harpy, has always tried to hide that part of herself, because when her harpy is free she does unimaginable things, where everyone that surrounds her is dead. After being captured for a year, she is afraid to contact her sisters, whom are harpies but have always been there to protect her, but afraid they will despise her for past mistakes, not realizing how strong their sisterly bond truly is. Then she gets rescued by Sabin, and taken back to his sanctuary and home with his brethren who are just as cursed with demons as he is, and finds a deep and abiding love in Sabin, and that despite everything going on around them, love can conquer all, even the whisperings of doubt! Sabin, holds the Demon of Doubt within him, and has never had a true and honest relationship with any woman because of it, not even one that is full of esteem and confidence. I found Sabin, to be one of my favorites of all the Lords, because I think he lives with one of the toughest demons, one that can destroy who you are, but Sabin doesn’t allow that to happen to himself, and he finds a woman that can tell the difference between her own thoughts and that of Doubt. Gwen, is a immortal, a harpy, although she wishes that she wasn’t one. She has always desired a soft tender man, not realizing that what she truly needs is a man that can calm her harpy and be strong and steady. After she gets captures, she is ashamed of herself, and knows that even though she loves her sisters, she knows that they will despise her for her actions. However upon being set free she starts to learn some truths about herself, where she finds a inner strength that she never expected to find. The Darkest Whisper is the fourth in the Lord of the Underworld series, and this is Sabin’s story, who holds the Demon of Doubt. Although this series isn’t my favorite of this author, its such a exciting and intriguing one, and I have truly loved reading this series so far, its been a intense ride that for sure, and The Darkest Whisper is one of my favorites of the series. Although Maddox’s story is at the highest top of favorites, Sabin is probably next in line. I loved every aspect of this story from the exciting plot, to the adventure, to the heated passion, and the tender love that grows between Sabin and Gwen. I found these two to be such a perfect match for one another, and they compliment each other so well. With Gwen able to distinguish the difference between her own thoughts and doubt, and the fact that when her harpy comes out, Doubt hides, since Doubt is afraid of Harpies. And how Sabin is the only one that can calm her harpy when she is out, which no one has been able to do that Gwen remembers. I have found the each book in the series so far is different yet special as they are so unique from one another! A true romance that will have you eager for more and more from this author. But when the merciless Lord of the Underworld is ordered by the gods to claim Anya herself, their uncontrollable attraction becomes an anguished pursuit. Now they must defeat the unconquerable forces that control them, before their thirst for one another demands a sacrifice of love beyond imagining…. Anya, the Goddess of Anarchy finds herself fascinated with Lucien, whose demon is Death,she first makes her desires of him known at a club. Even though he is scarred she finds him the most handsome and fascinating man that she has ever known. Anya is deeply misunderstood, because her of who her mother was, her mother slept with all whether mated or unmated, it was in her nature. However for Anya that was not in her nature. For sure is cursed and has never lain with a man before, however when she meets Lucien all that changes and she desires him above everything, however Cronus gets in the way. After Lucien shares a passionate embrace with the mysterious Anya, Cronus comes to him and tells him that he wants him to kill Anya. Having the demon of death inside of him, he knows that he really has no choice. But Lucien is reluctant to do so however, with her beauty, sparkling personality, and her strawberry scent that tends to intoxicate him with burning desire, he finds himself wishing that he didn’t have the task of having to kill her. When Anya and Lucien work together, will their love be strong enough to conquer all road blocks that stand in their way? I truly loved reading this one, I am reading this series out of order, which I don’t mind. 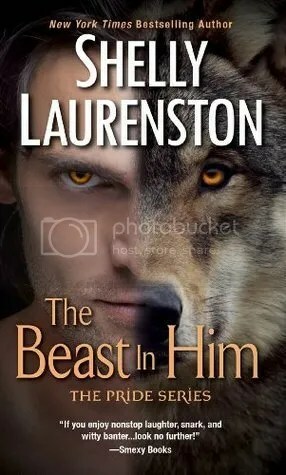 The first book that I have read of this series was The Darkest Pleasure so I was exciting to finally read Lucien and Anya’s book. I loved how spirited and willful Anya is and how she is willing to fight for her life. There is much tension throughout the whole book, because of the certain circumstances that are involved. With Lucien having to be ordered to kill Anya or everyone that he cares about will perish, well that is definitely a hard choice, but it does get harder when he falls in love with her. It was a thrilling ride through the whole of the book, and I was definitely satisfied at the end. The Darkest Kiss kept me on the edge of my seat, and always full of surprises. Definitely worth reading, and I am looking forward to reading the rest of the series. Reyes is a man possessed. Bound by the demon of pain, he is forbidden to know pleasure. Yet he craves a mortal woman, Danika Ford, more than breath and will do anything to claim her–even defy the gods. Danika is on the run. For months she’s eluded the Lords of the Underworld, immortal warriors who won’t rest until she and her family have been destroyed. But her dreams are haunted by Reyes, the warrior whose searing touch she can’t forget. Yet a future together could mean death to all they both hold dear….